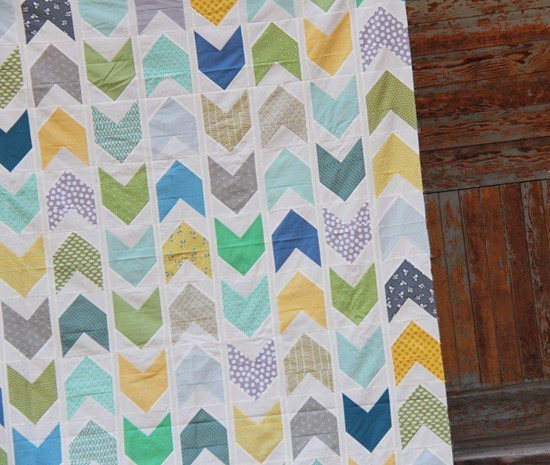 Love love love love love love love this (wrinkly) quilt top. Once in a rare moon a quilt turns out better than I thought it would in my head…this one definitely did. My boys share bunk beds so I altered this a bit from the pattern to make it fit a thin mattress. I made the sashing strips 1 1/2″ instead of 2″ and I left off the borders. It makes it about 65″ x 85″. 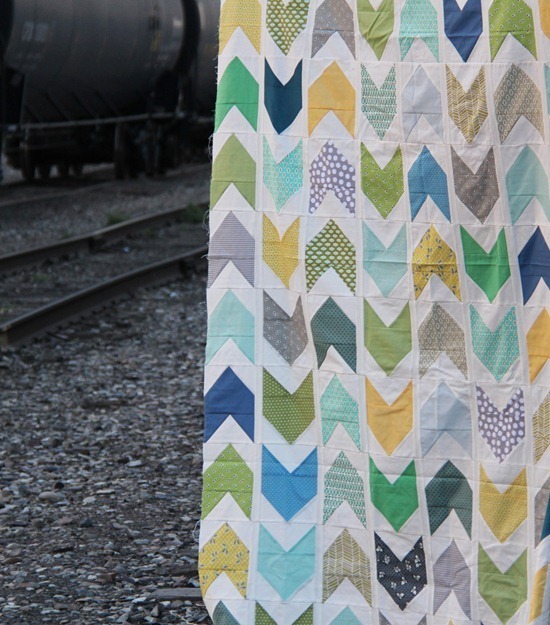 I mixed in lots of solids and small prints, the same fabrics as boy 2’s strip quilt. OK…I'm having a moment…cause I bought this pattern of yours to make boy quilts for my boys bunks in basically these same colors…… so cute! And it's so wonderful I'm sure he never will leave you! beautiful. But don't wish for him to never leave you… you'll regret that later! Wish for him to grow into an awesome adult who wants to take his quilt with him when he goes. Beautiful, love all of those boy colors!!! What an adorable room they must have! Gorgeous!! I have the same hopes for my son when I get a chance to make him a quilt from this pattern! I really like the blues, greens, and yellows together. Beautiful- The colors, the pattern and the thought behind it:) I made this pattern of yours and I am happy to report that it is the FIRST quilt that I actually finished, binding and everything- including shipping it off to my newest nephew… Your blog is inspiring and your tutorials are wonderful! Love this! So clean and soft looking. Easy to do? That is so beautiful! You did such a great job……as usual! You will be sorry when he is big enough to eat you out of house and home. :-). Great quilt! Love it! I bet they look adorable on the bunk beds…the perfect boys room!! Good luck with your move! LOL! I love it! 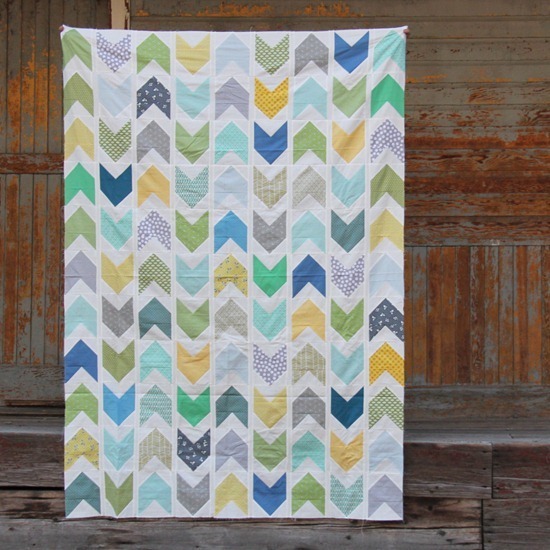 This is a beauty :-) Definitely the perfect quilt for a bow+arrow loving boy. Love this Al! I may have to get this pattern and sew myself a quilt! ha.. never say never.. hope he leaves but visits and calls often. i LOVE the shapes in this quilt. This is a perfect quilt for a boy! I love it! i love it, I can't wait to use my pattern.